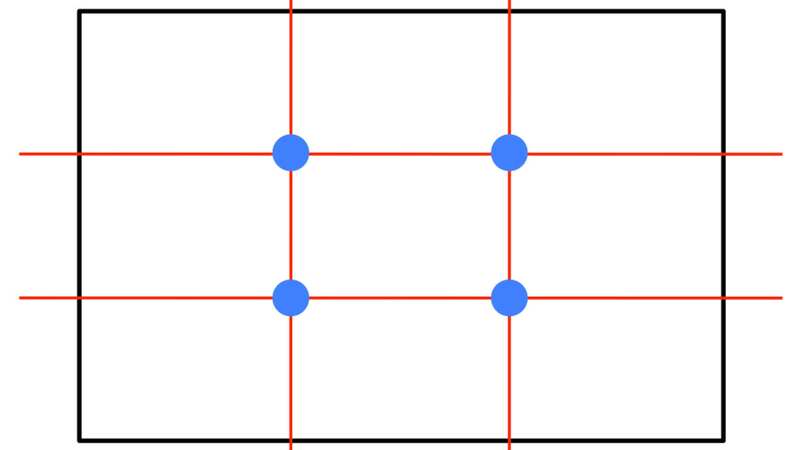 Rule of Thirds describes a techinque of camera framing that will align portions of interest within the frame along uppper, lower, right side or left side imaginary lines. Crosshairs are marks that indicate the absolute center of the camera framing and are indicated only within the operators viewfinder or can be toggled on and off on a digital display monitor of a digital camera system. Framing a shot in the "Crosshairs" is when the camera opearator keeps the subject of the shot in the center of frame as opposed to using asymetrical or 'rule of thirds' framing.